Posted January 2nd, 2018 by Mike Boyes & filed under Adult Development and Aging, Development of the Self, Human Development, Industrial Organizational Psychlology, Industrial Organizational Psychology, Stress: Coping Reducing, Student Success, The Self. Description: In my previous 2 blog posts (1. http://wileypsychologyupdates.ca/human-development/resolutions-not-the-places-to-start-life-development-and-change/ and 2. http://wileypsychologyupdates.ca/general-psychology/adult-development-and-aging/resolutions-better-to-work-on-life-engagement/) I wrote about the Big Life Task of identity formation and about the bleak picture painted of how this important post-secondary developmental enterprise is seen as going for many (40 to 45%) emerging adults (18 to 29-year-old’s). I pointed out that there are a number of ways in which speaking only of Identity Styles is problematic and developmentally unhelpful. Focusing on Identity Styles alone is focusing on symptoms rather than underlying causes. Second, discussions of Identity Style focusses attention solely on the individuals doing the developing and not on the socio-historical contexts in which that development is or is not occurring. The world that emerging adults are preparing to move into is more complicated than the worlds that their parents and grandparents grew into and this needs to be considered before simply stating that the main “problem” that 40 to 45% of emerging adults experience in their early post-secondary years is that they are using a Diffused Identity Style. This complexity contributes to the historically high levels of stress and anxiety experienced by emerging adults during their early post-secondary years. Efforts by colleges and universities to increase student engagement have shown limited success partly because the focus there has been on getting students engaged in educational and institutional practices of previous generations and mainly because what emerging adults in their early post-secondary years need first and foremost is to be figuring out how to be engaged in themselves and their own development. I would like to suggest that you engage in a brief reflective exercise before I try and address the previous twice-repeated question. In this exercise, though, I do not want you to reflect inwardly on your own psychological perspective. Rather, I would like you to reflect outwards and consider anything you have read, seen or heard in the media and in your social experiences that was presented as advice for how young (emerging) adults “these days” need to think and act when it comes to their career and life development. Before you start, I also want you to expand your reflective perspective to include not just young (emerging) adults but what older adults (middle aged or late-career or aging) need to do to adapt “these days” and for good measure throw in anything you may have heard about what companies, big and small, are said to need to do “these days” to maintain their competitive advantage and their sustainable places in the world. OK, all set? Before reading on, take a few minutes to think about what you have heard in these areas. Think in terms of words or simple phrases rather than book length treatments as we are looking here for basic directions and basic life preparation advice. Ok GO! …be lifelong learners (one does not know all there is to know after some schooling and what IS known is changing rapidly). …be entrepreneurs (you will need to adapt your enterprise to the world around you). …be nimble (things will change on the fly and so will you and your goals, strategies and plans). …be open to diversity (things are different not just on the other side of the world by just down your block as well). …be open to experience (related to diversity, be open to seeing things that you did not expect and considering them). …be prepared to see failure NOT as a sign to stop what you are clearly not good at but as a learning opportunity and an invitation to re-configure and move ahead (be pleased when you fail). …view planning your life and living your life as closely related, ongoing, lifelong processes. …realize that knowing what you are going to be or do “when you grow up” is a lifelong process. …know that there are many possible answers to the questions who am I and how am I going to live my life (and figuring that out is the ongoing journey that this is about). How does all that sound? That you have a lot to learn and a LOT to work on? Well, perhaps that is why emerging adulthood is 10 years long. What it should also suggest is that identity is not something to be found or developed early and then just lived out. 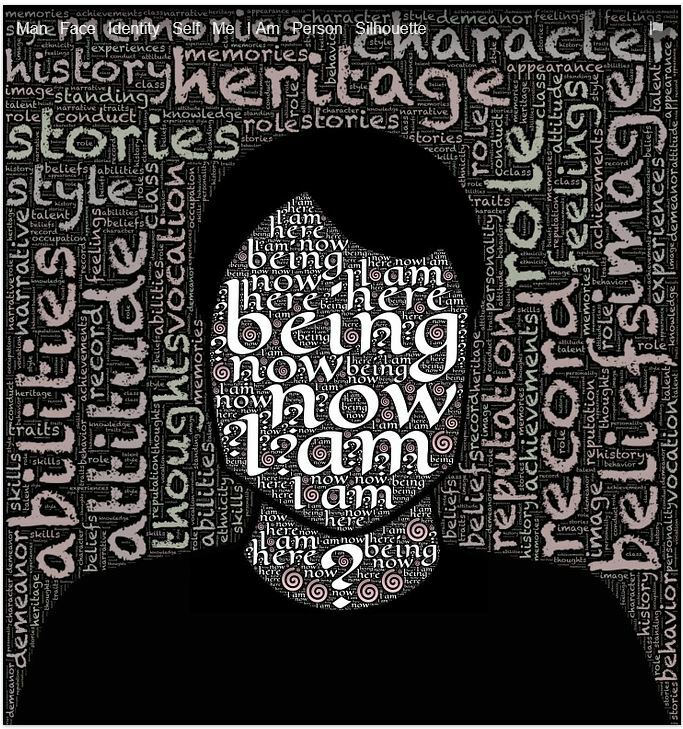 Identity is better viewed as an ongoing process or ongoing journey that will, or ought to be, under ongoing reflection and regular review throughout your life. Your Identity Style is simply a snapshot of where you were at in that ongoing process when you last completed the measure. So how should you proceed? A couple of months ago I ran across a book by a couple of professors at the Stanford Design School who had looked at the Big Life Task of personal identity and decided that it should be approached as a Design problem. The Stanford Design School was the first to adopt a human centered approach to design. Bill Burnett and Dave Evans thought that the principles of human centered design could very usefully be applied to developmental and lifelong task of designing a human…. specifically, to the task of designing yourself. Their Stanford course, their online course, and their book Design Your Life draw on human centered design principles as well as drawing heavily on research in positive psychology looking at things that help or hinder human wellbeing. Think of it as an applied course in Identity self-development. I am very impressed with how well their approach ties into the huge literature on identity development. 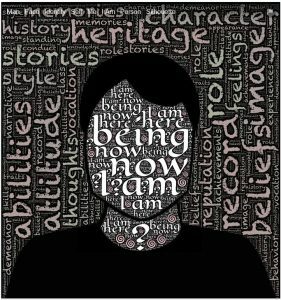 While not getting stuck at the Identity Style as symptom level, the Life Design approach, digs past it to talk about the underlying causal factors that produce particular Identity Style snapshots and to talk about how we can take them up and use them to get on with our life journeys — to figure out what we will be when we grow up. So, what does their approach involve? Well, you have several options for finding out. You can enroll in Stanford and take their course, you can take their online course, you can find someone like me, local to wherever you are, and find out when they are next running a Developmental Life Design course in your area or you can buy their book (see reference list below). In point form, here are some highlights of Developmental Life Design. A well-designed life is one that is generative, it is constantly creative, productive, changing, evolving, and there is a possibility of surprise. Don’t think about outcomes (what you want to be when you grow up) think about processes (Work on what you want to grow into). Like a designer, don’t THINK your way forward BUILD your way forward. Have a bias to action, don’t think about stuff TRY it! Reframe Problems: get unstuck by examining your biases and assumptions and open new solution spaces. Know Life Design is a Process for approaching a wicked problem (a wicked problem is one that changes as you work on it). Life is a journey so let go of the end goal, focus on the process and see where that takes you. Ask for help: collaboration works wonders. The old advice that you should find and follow your passions is backwards and is part of why people who are using Diffused or Normative Styles just keep using them. You should aim to build into your passions which you will find as you move along. You do NOT need to and probably won’t know where you are going when you are getting started. As things will change along the way you do need to be nimble, but you also need to not burden yourself with things you cannot know (like where you MUST end up). You are starting a lifelong process. You will (should) regularly review how you are doing in relation to Work, Play, Love and Health and make adjustments for balance as needed. As Burnett and Evans put it, you may not know where you are going but you can know that you are going in the right direction (that’s a biggest part of the Designed Life as a voyage perspective). Reflect on your Lifeview and your Workview, write them down and look for coherencies (places where these two views complement one another, clash, support or drive one another). His will help you find your own True North and help ensure that as you journey forward you are following your own compass and not someone else’s. To get started (and for the rest of your life on a regular basis) you need to pay attention to how your engagements with the world go. Drawing on work in Positive Psychology you should look back at the things you did (classes, meetings, events etc.) in the past few days to a week in a good times journal. For each event rate how engaged you were in the event. Being engaged means being focused and caught up in the event (not noting the passage of time etc.). Also note how you felt after the event. Where you tired or energized? Events that were engaging AND energizing are wonderful examples of the sorts of things your compass could be pointed towards. Your reactions are telling you about yourself and about what might be possible journey paths for you. <liCan’t see what might be possible? Try and reframe the situation. Mind Map some things from your good time journal and then mine the map for possibilities and new solutions. An important part of the Developmental Life Design process is to realize that the average number of fantastic possible lives people can imagine having is in the neighbourhood of seven (yes 7). This is a lot like the traveler’s dilemma that you may have heard about. You are going to Rome and you will have 4 days there. You dig through guidebooks and ask friends and remember your courses on religion etc. and you make an itinerary. At some point, however, either before you go or once you get there you are potentially paralyzed by self-doubts. You cannot see everything and, so you start to worry that what you have planned to see might not be the best things to see and you know that you will be missing some amazing things. Your Life Planning process can be fraught with the same problem. Make some choices and then ….. agonize about whether they are the best choices or the right choices for you. The solution to the traveler’s dilemma is to let possibilities go, once you have thoughtfully put an itinerary together and just go and enjoy your trip, it WILL BE amazing. Despite what your parents or high school guidance counselors may have told you, life is like that trip. Once you have made a plan let the other possibilities go and KNOW that the life journey you embark on WILL be amazing (this one can be a bit hard but there are a lot of tricks and tips for how to accomplish it well). Prototype your options: Prototyping is one of the core features of Developmental Life Design. Prototyping, as in design, involves a range of activities that grow from the Bias Toward Action noted above as one of the 5 key mindsets. Burnett and Evans point out that as unique as the components of our Odyssey plans might be it is pretty likely that there is someone out there doing exactly that or something pretty close to it already. In a richer version of Informational Interviewing, they suggest that you go and gather life stories (brief ones) from people doing things you think might be good “ways” for you to try. You are not going to ask for a job, you are going to find out what got those people onto their own current life journey and you are going to listen very hard to see if that sounds like something you would like to embark upon. Prototyping is a form a failure immunity. You are gathering life data and trying things on for size and if the worse thing that can happen is that something does not fit well, no problem, tailor the situation, tailor your plan, adapt your thinking and re-prototype. You learn valuable things every step of the way and, really, you learn more from failure than from success. Do not judge your progress or your life by your outcomes, its not over ‘til its over so judge your progress by your process. So how does that sound to you? Are you ready to abandon the idea that you need to know who you are and exactly where you are going before you leave high school or by some point early along your post-secondary developmental pathway? Doing so does not mean that you will be stumbling blindly along your life course. It IS true, however, that there is always fog on life’s journey. For people using an Informational Identity Style (going back to symptoms for a moment) the fog is off in the distance and they are comfortable in with the Developmental Life Design idea that while we may not be able to see exactly where we are going we can design our journeys in such ways that we can be confident we are going in the right direction. For people using a Normative Identity Style the fog is a bit closer, but they have chosen career and life courses that allow them to look from side to side and see the armada of other life craft travelling in the same direction as them and they find this reassuring (though if or when they find themselves travelling alone they may need to seek out a Developmental Life Design learning opportunity). Finally, for people using a Diffused Identity Style the fog of uncertainly is quite close and they are uncertain about how to set a course. For them the steps of a Developmental Life Design course or book or friend could help them walk themselves through the steps towards wayfinding and prototyping and towards a better designed life course. So how is your life navigation going? Hopefully these blogs have given you some things to think about and some suggestions about how to plan and start journeying on well designed life courses. Source:</strong Developmental Life Design 301. What are some of the ways you can link your Identity Style to the Developmental Life Design outline provided above? Do you have the sort of life data you need to try the Developmental Life Design model out? If the answer to the previous question is no what do you need to make a trial run possible (it is worth a try!)? Burnett, Bill and Evans, Dave (2016) Designing Your Life: How to Build a Well-Lived Joyful Life, Knopf, New York NY.